The best free Business WooCommerce responsive WordPress theme. 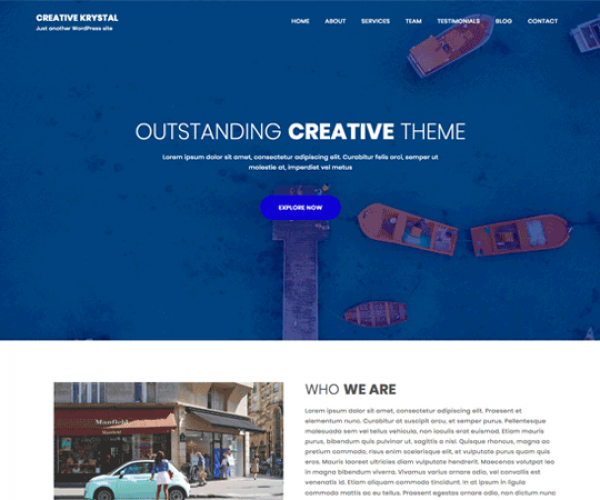 Krystal Business is a multipurpose business WordPress theme suitable for any type of business. It uses theme customizer to customize all of the settings plus it uses Elementor Page Builder as a default page builder. Build any type of website like Church, Hotel, Restaurant, Medical, Agency etc. You can open your E-commerce store too with this theme. Krystal Business uses the most popular Bootstrap framework. With its built in elements, its easy for anyone to create new sections. Krystal Business also has widgets in the free version. Drag and drop your widget and save. Its super easy. Krystal Business comes with sticky header feature. Now you don’t have to scroll up everytime for menu selection. Krystal Business lets you integrate Google map. You can add map by using a widget in page builder.